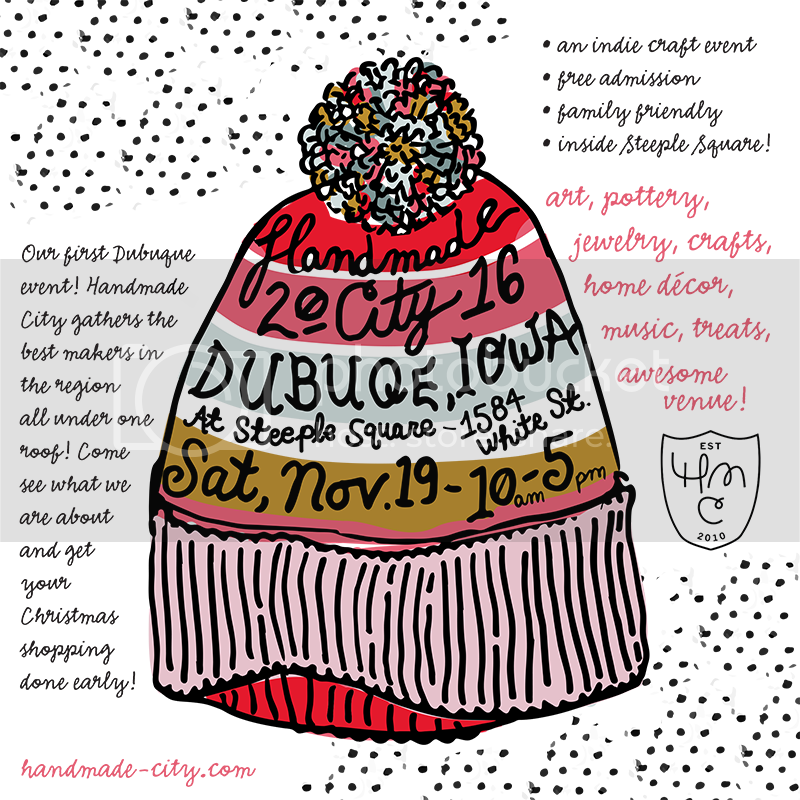 Can you believe it has been a month since Handmade City took over Bucktown for HMC4?! Time flys when you’re having fun! We haven’t had much time the past few weeks to sit and type our official show recap post. So here is our best attempt at a sorta-recap & THANK YOU to all everyone who made Handmade City’s fourth show a success. Bucktown Center for the Arts was such an awesome space and we had a lot of people come up and tell us how much they liked the venue. Did you like HMC4 there? We loved the openness and exposed elements of this historic building and we were very welcomed by the Bucktown artists and shops. Everyone was so nice! We would like to especially thank Brittany Klarkowski, Bucktown’s Galleria Manager for helping us set-up and get situated comfortably. She also helped promote the event heavily through the Spring leading upto the event. She managed to juggle moving into a new house the same weekend as HMC4 too – crazy! 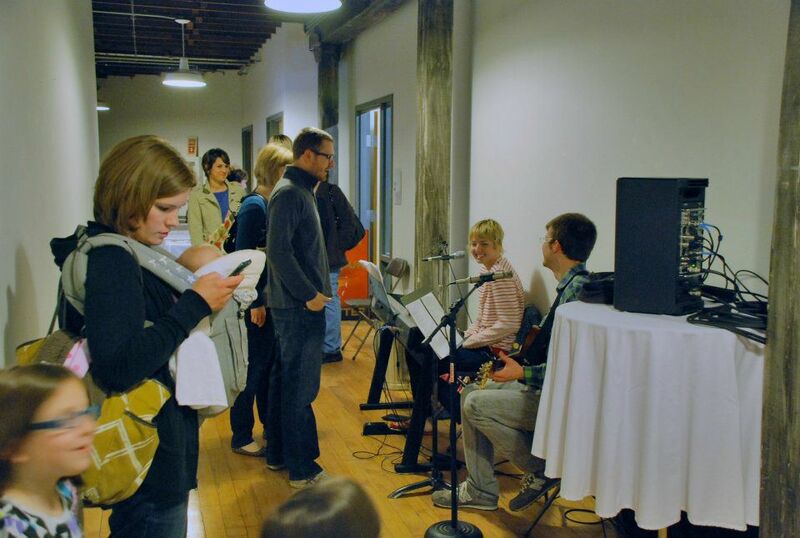 Remember Bucktown is open all year, visit their website to learn more about special events and artist studios! Rozz-Tox rocked it at HMC4! Every time we looked over they were cranking out some fresh coffee for our shoppers and cupcakes were flying off the table. Thanks Ben and Donnie for bringing the caffeine! We absolutely love Rozz-Tox and hope to keep them as a part of our future events. If you didn’t have a chance to check out Rozz-Tox during our HMC2 & HMC3 events you really missed out and should visit them now. They are open Tuesdays–Sundays. It is such a great space, staff and menu – the perfect hangout vibe with art & music galore. 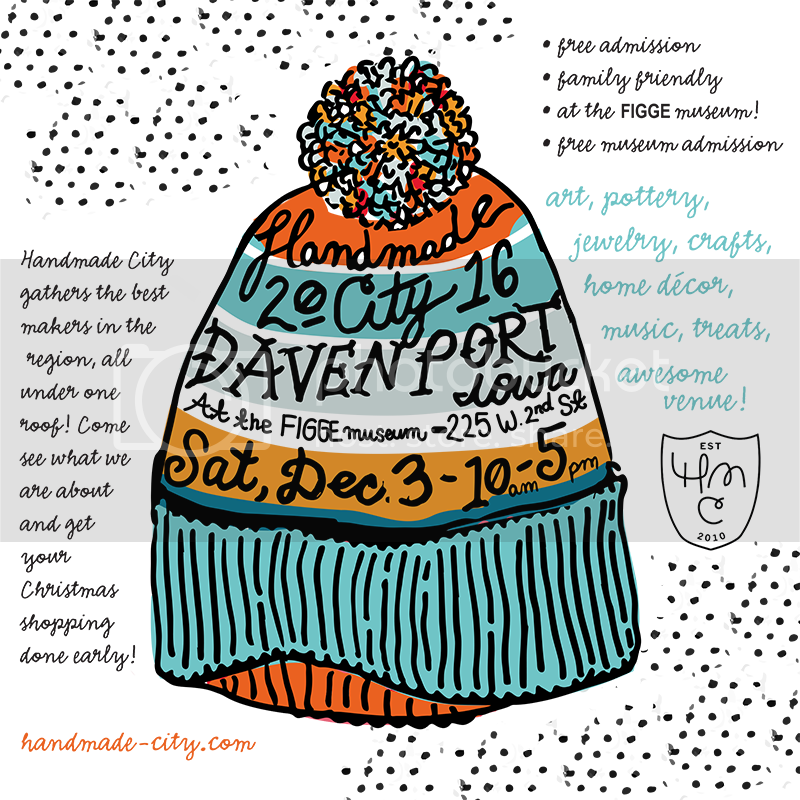 Handmade City volunteers unite! Sarah, Luanne, Amber and Alex you gals were a huge help directing shoppers, answering questions and hanging at the HMC merch table. Thanks so much for sticking around all day with us. We would love to have you back at the next event! Thank you HMC4 Vendors. We can not tell you how many people told us how awesome the vendors at this show were! Everyone was very impressed with the level of quality that you guys rocked. We are so lucky to have such a wonderful collaboration of artists supporting the handmade movement. Not only were you all very chic but so nice and easy going! Thanks for helping us put on such a great event and we most definitely will keep you posted on future shows! Leah and Lewis took over a hallway around noon and jammed some lovely tunes for our crowd. Thanks so much for playing! Shoppers & Supporters, thank you so much for attending this event and purchasing from our vendors. We know that our collaborative artists are amazing and make amazing stuff but it is refreshing to meet so many Quad Citians who feel the same way! We are excited for what the Summer brings, with a few mini events up our sleeve we will be more than busy crafting away until Handmade City Holiday plans roll in. Expect to see applications for our Holiday event open at the end of Summer. Tentativly planned for the first week in December 2012, we will keep you updated through our site and facebook page. We also have a mailing list and if you would like to be on it, email us: handmadecityinfo (at) gmail.com . As far as the mini events we have planned for Summer 2012, we will post more information in the very new future. Check back soon! ← Luminology – Bucktown Studio Feature!